The Turbomiser runs on virtually frictionless magnetic bearings, and can cut cooling energy costs by up to 60 per cent compared with conventional cooling systems. IXYS UK Westcode is a world leader in the manufacturer of high power semiconductors, and introduced the first commercial rectifier in the 1920s. Today its products are used across the world in applications such AC and DC drives, uninterruptible power supplies, motor soft starts, power conditioning and high energy physics. Cool-Therm installed the 280kW Turbomiser TMA280 chiller at the company’s plant at Langley Park, Chippenham, to provide essential cooling for its clean room for the manufacture of high power semiconductors. The process requires tight control of temperature and humidity to maintain the stable environment required to ensure the quality of components under manufacture. 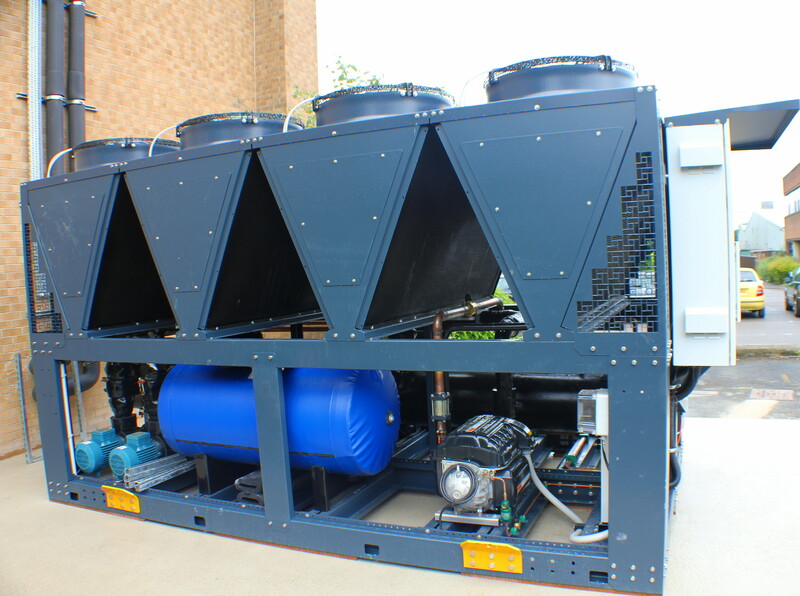 The chiller produces chilled water for an air handling unit, which in turn supplies conditioned air to the manufacturing hall. Due to space restrictions within the plant room, run and stand-by pumps were incorporated within the chiller itself rather than being located separately. These were designed into the system and factory-installed by chiller manufacturer Geoclima on behalf of Cool-Therm. Larry Barlow, who headed up the project for Cool-Therm, says: “Key issues for the client were reliability in delivering close control conditions, energy efficiency and running costs. There are a number of traditional chillers on site, and there was a desire to ensure low running costs while delivering the best possible control of environmental conditions, while reducing ongoing service and maintenance costs. The manufacturer is delighted with the results, and currently monitor energy use to assess the scale of savings. The previous chiller was having difficulty coping in warm summer months with humidity control proving challenging. Following the success of the project, the company is looking to replace three further existing chillers at the site, running on R22, with two new larger capacity Turbomisers.